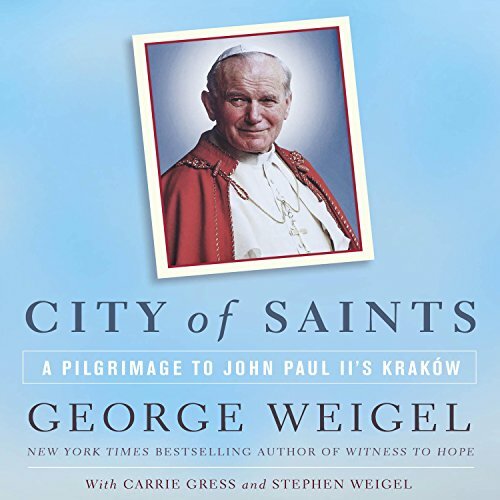 In this beautiful spiritual travelogue, New York Times best-selling author George Weigel leads listeners through the historic streets of Kraków, Poland, introducing one of the world's great cities through the life of one of the most influential Catholic leaders of all time. "To follow Karol Wojtyla through Kraków is to follow an itinerary of sanctity while learning the story of a city." Weigel writes. "Thus, in what follows, the story of Karol Wojtyla, St. John Paul II, and the story of Kraków are interwoven in a chronological pilgrimage through the life of a saint that reveals, at the same time, the dramatic history and majestic culture of a city where a boy grew into a man, priest, a bishop - and an apostle to the world." With notes on the city's remarkable fabric by Carrie Gress, City of Saints offers an in-depth look at a man and a city that made an indelible impression on the life and thought of the Catholic Church and the 21st century world. View More In Specialty Travel.